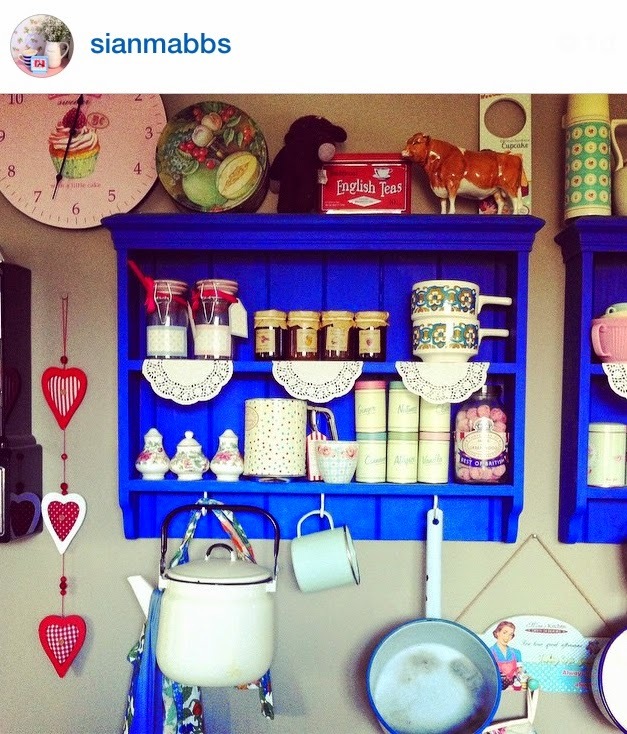 Yesterday was the first ever #shelfiesundaycomp on Instagram. I really want to thank everyone of you that sent pics of your shelfies! it was a huge success and so much fun! I think by lunch time the hashtag was finally sorted under its proper header lol, but don't worry as I did get all entries. Shelfie Sunday comp will run every Sunday on Instagram and there is always a little prize for the best shelfie, so make sure you tell everyone you think will enjoy playing. I found it soooo hard to chose a winner! there really was so many fab entries! In the end, and as its the first week, I decided to have joint winners as I just couldn't decide. I loved this fab design by Daniel! how amazing to have a suit case set of shelves, and I love the wedding photograph of his parents. 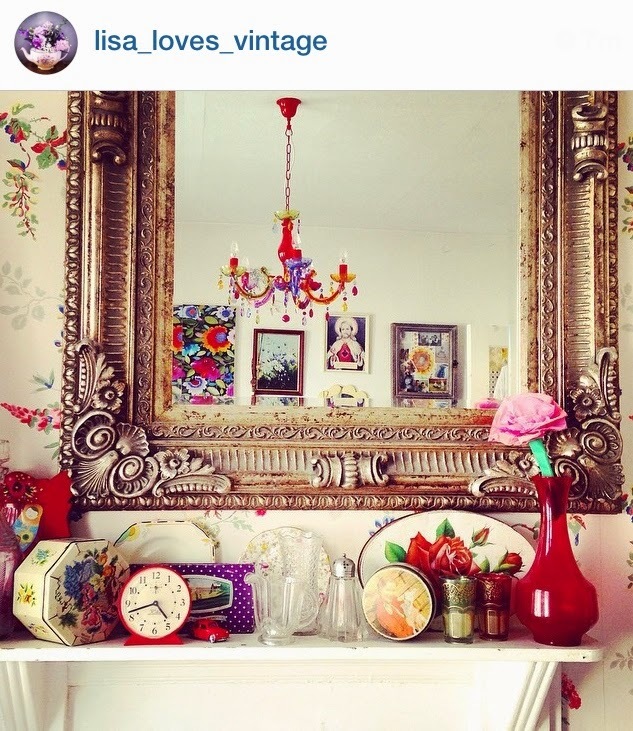 How could anyone resist Lisa's colourful eclectic shelfie! 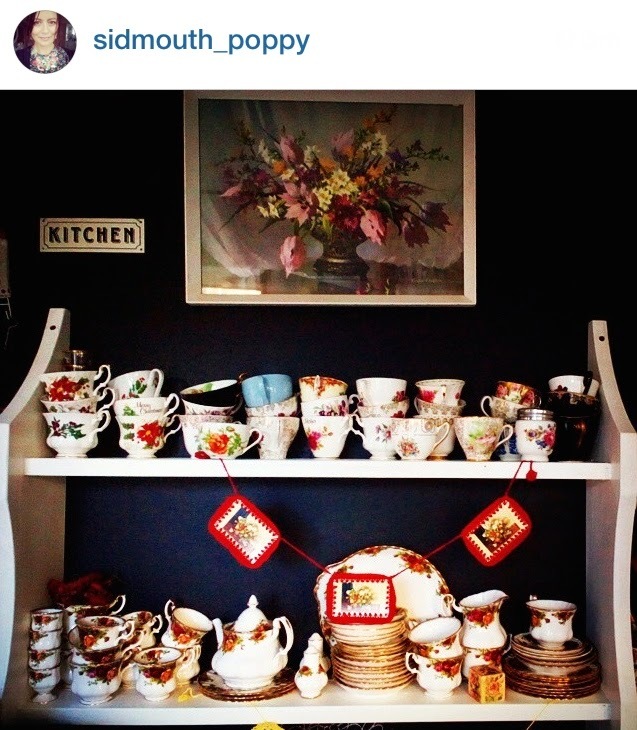 crammed full of vintage finds. Lisa and Daniel please send your address to emmaconnolly78@icloud.com so I can send out your prizes. 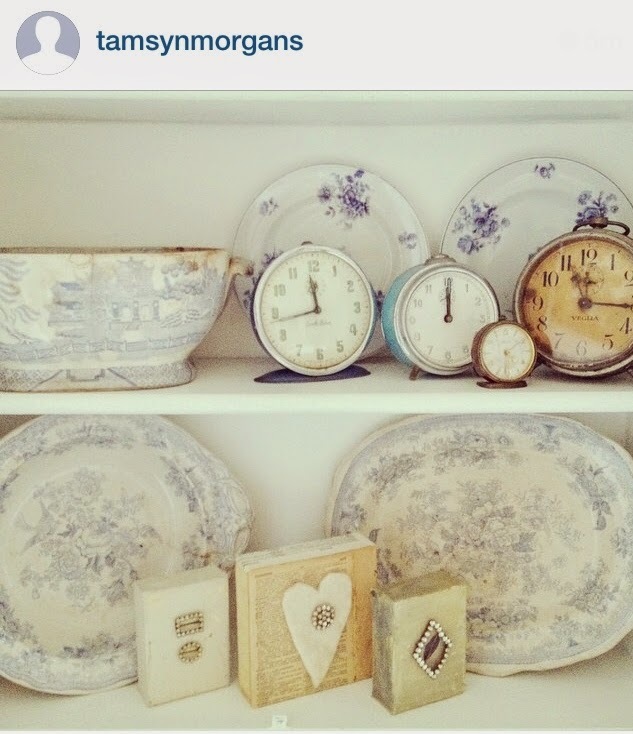 I adore Tamsyns style and muted colour scheme and love the vintage clocks! I just love everything this lady posts. 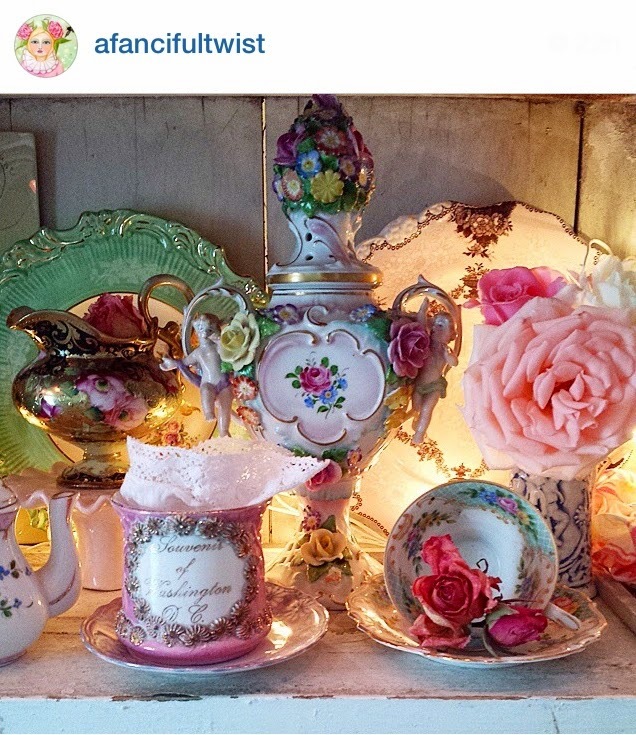 such gorgeous stuff on her shelfie. 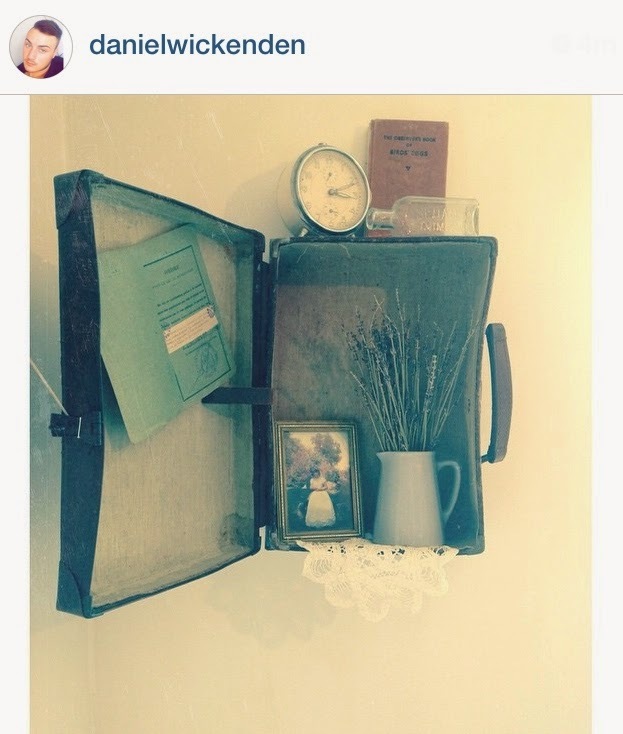 Sians beautiful bright shelves are utterly gorgeous and remind me of my great grandmother. Oh I do love bunting on a shelf! 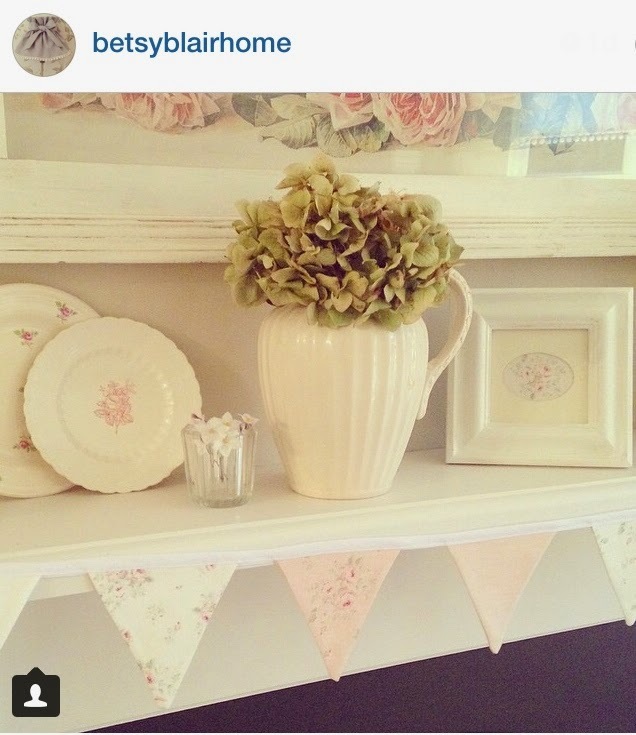 and this lady makes some fab bunting! I love the muted pastels and gorgeous blooms! This is a striking shelfie with fab bits n pieces. love that metallic phone. 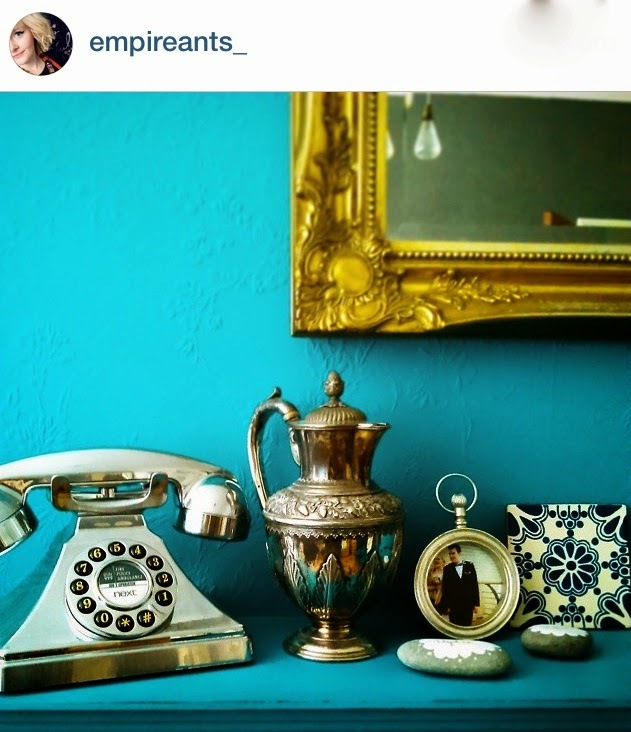 Gorgeous contrast of that wall against that shelfie making its pretty china really stand out. Once again thank you for joining in the fun and take lots of shelfies ready to play next Sunday. What a lovely idea! Such gorgeous looking shelves! You should join in next Sunday. It was really good fun!